I didn’t forget about the all of the very important design geeks for Christmas! 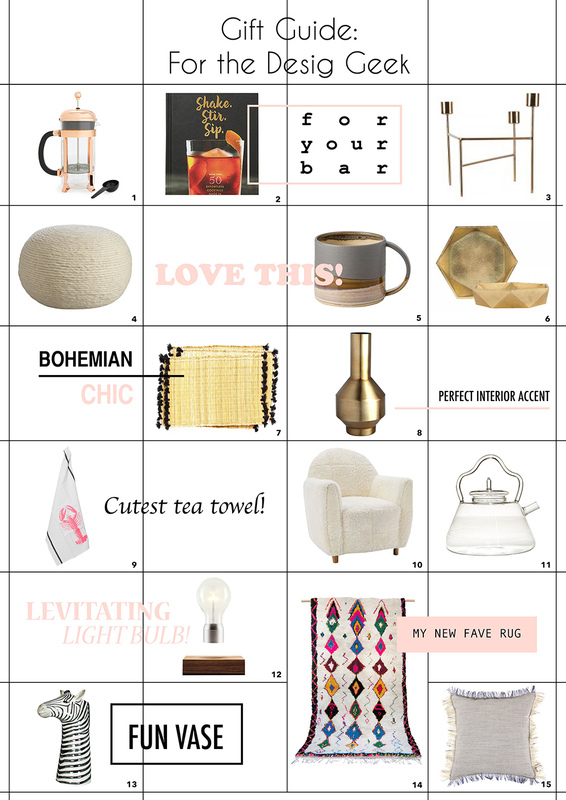 Here is a holiday gift guide highlighting 15 of my favorite decor items out right now. (also in case you miss it, number 12 is a levitating light bulb … amazing! ).